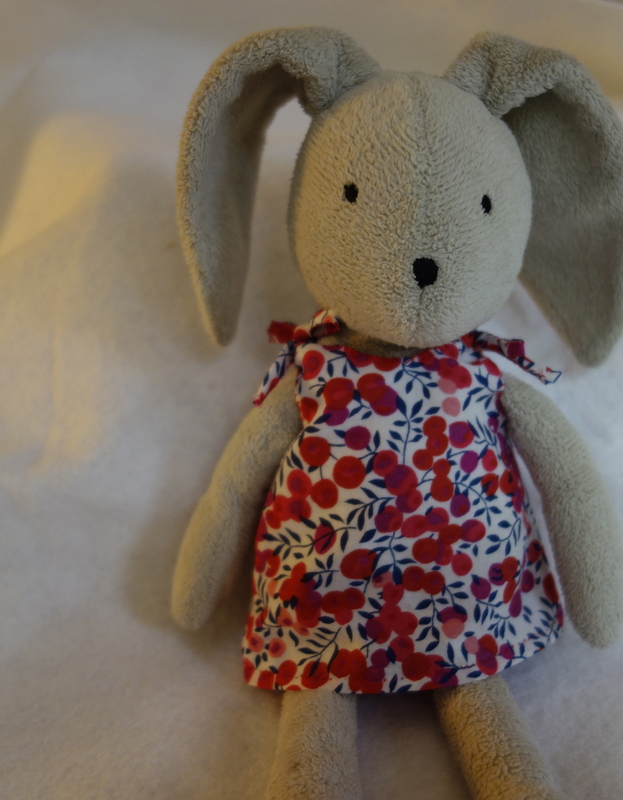 Before she left for camp, my daughter suggested that her Bunny needed a new summer dress, and that Bunny would probably like this Liberty print–Hot Pink Wiltshire (gorgeous!). I guess Bunny and Betty have excellent taste in fabric. For the dress, I made a paper pattern from Bunny’s existing dress. I machine stitched the side seams and serged the edges, then hand sewed the hem, neck and armholes using a blanket stitch. A perfect fit! Piglet is her other sleeping pal, so I thought he deserved something, too. This little backpack was really fun to make. I had a rough idea of how to make it, but made it up as I went along. 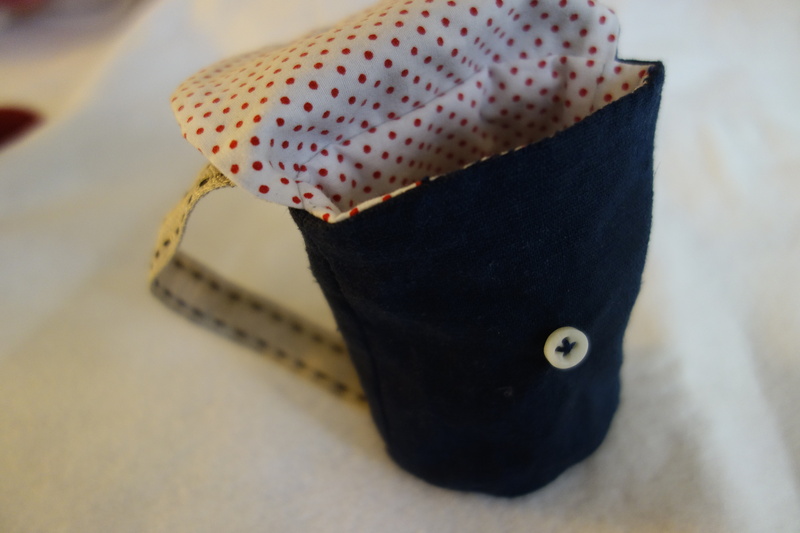 I am seriously spatially challenged (never ask me for directions) so sewing the flap, straps and lining to the exterior in the correct orientation took a few tries–but it’s good to exercise my brain, right? I wish I had placed the straps closer together at the top for a better fit, but otherwise it’s pretty awesome. I got completely carried away and put some salt water taffy and a welcome home note in the backpack for Betty to find on her return from camp. Aww! Besides needing a distraction from missing my kiddo, I am also procrastinating a little. I bought three yards (!) 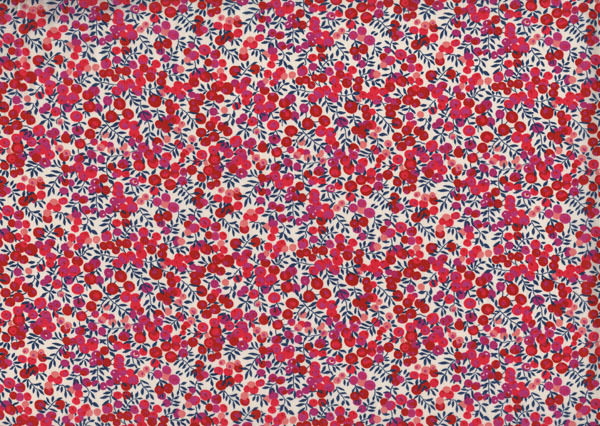 of Liberty (Betsy Blue) to make a Lisette Traveler Dress. I made one version of the dress last year, so I know the pattern is not beyond my skill level, but I need to work up the courage to cut into this lovely fabric. I got some delightful encouragement from Florence at Flossie Teacakes, who very kindly replied to my question about prewashing fabric for dressmaking. Florence is a seamstress extrordinaire, a charming writer, and a Liberty expert so it was a real treat to correspond with her. The answer, by the way, is an emphatic yes. 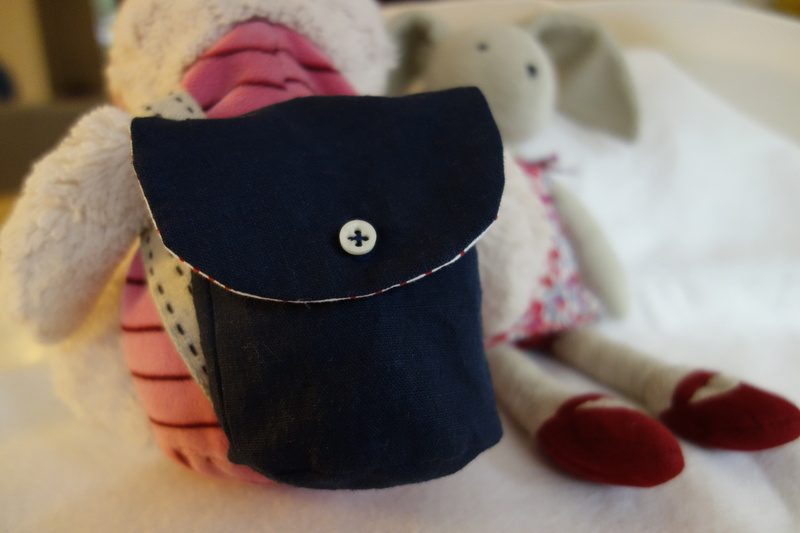 This entry was posted in kids stuff, other sewing, small projects and tagged doll backpack, doll dress, Flossie Teacakes, Jellycat, Liberty of London, my little friends, piglet on June 29, 2013 by brigitdermott.